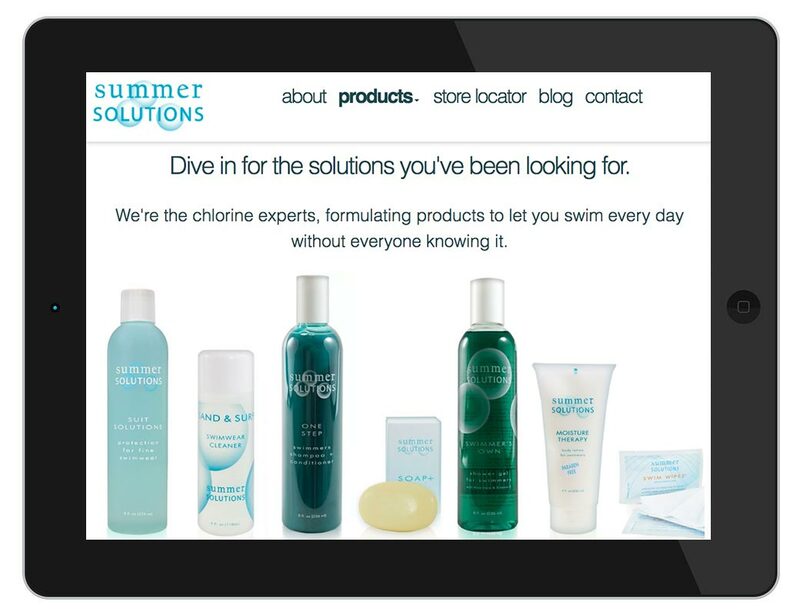 Summer Solutions makes personal care products for swimmers that mitigate the damaging effects of chlorine on skin, hair, and swimsuit. Raving fans of Summer Solutions are in the pool daily or close to it, either for exercise, training, or a love of swimming. These are fitness-minded people concerned with looking and feeling their best, and they’re acutely aware of the toll chlorine takes on their skin, hair, and swimsuits. This is a powerful pain point, and one we made ample use of across the site. 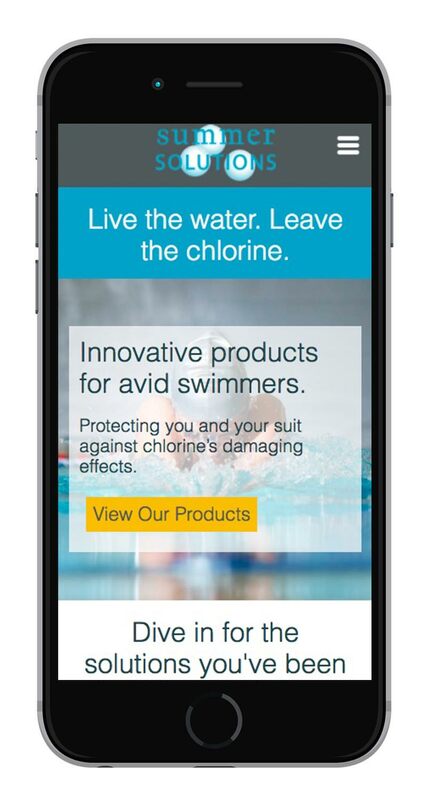 By aligning relatable imagery of serious swimmers in action and concise copy triggering this pain point, the stage is perfectly set for the compelling benefits-driven product promotions that follow. 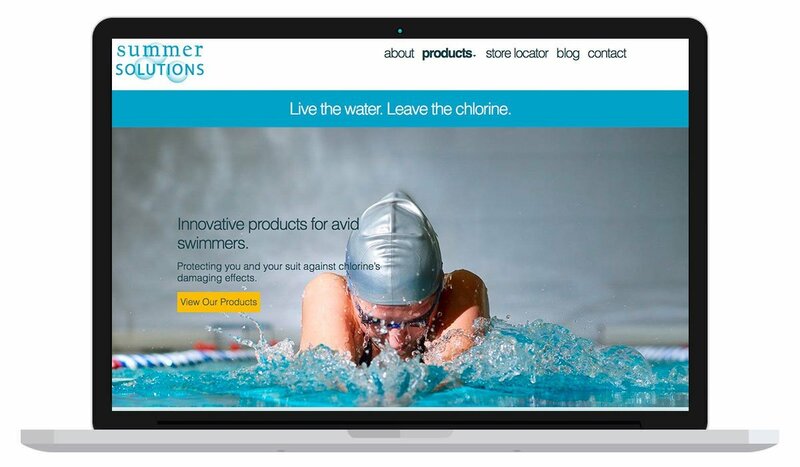 We also wove references to Summer Solutions being “the chlorine experts” into the site in various places. 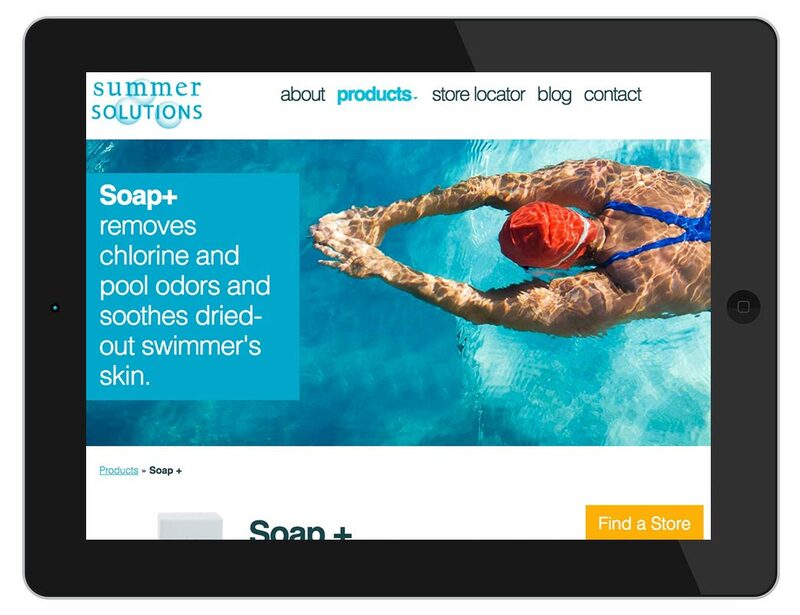 Combined with the founders’ scientific and product development expertise, highlighting relevant similarities between them and their audience, and creating a digital publication platform for content marketing, our website design successfully establishes the company as a credible authority in personal care for swimmers.